Den Hartog Industries is proud to announce the newest additioin to our accessories line designed to prevent lid loss – our new 12″ Self-Anchoring Lanyard. 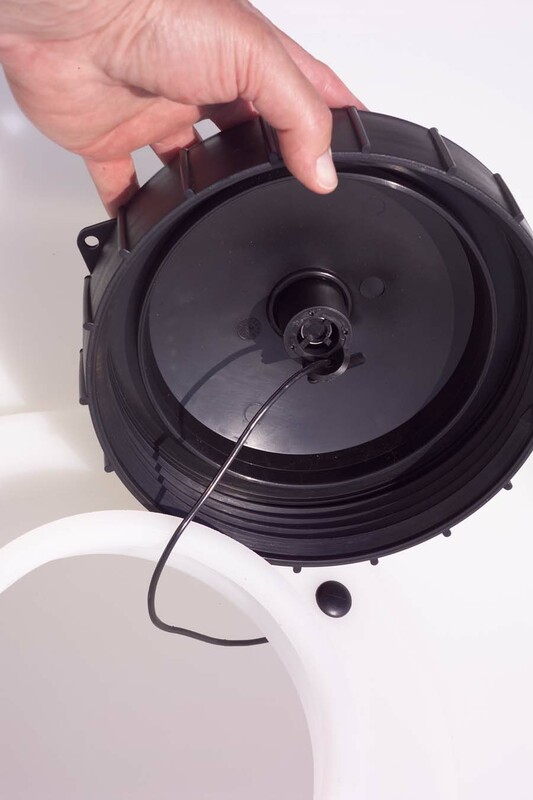 Our self-anchoring lanyard attaches the lid to the tank to prevent loss. A split-hook retainer attaches to the lid and a “button” on the other end attaches through the tank wall. The lanyard is injected molded polyurethane and black in color. The effective length is 12″ and is used for tethering 5″ and 7″ lids to tanks. See all of our lid and lanyard options in the “Lids” category of the “Accessory Parts” section of the website.